Every year the Uni­ver­si­ty of Min­neso­ta host the Roy Gri­ak In­vi­ta­tion­al at the Les Bol­stad Golf Course in Fal­con Heights, Minn. This year I shot the DIII races for the Col­lege of St. Scholas­ti­ca. This year’s event was on the morn­ing of Sep­tem­ber 29, 2012. 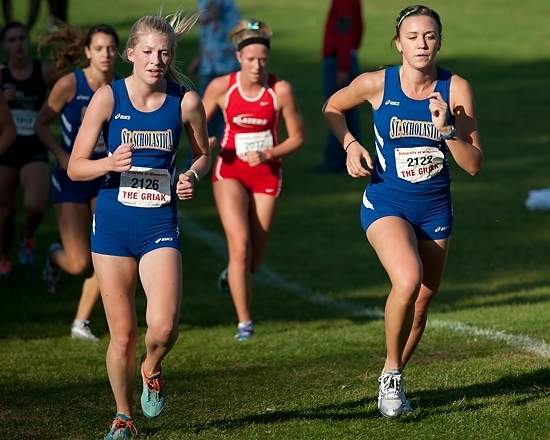 The St. Scholastica’s women’s team gath­er be­fore the race. 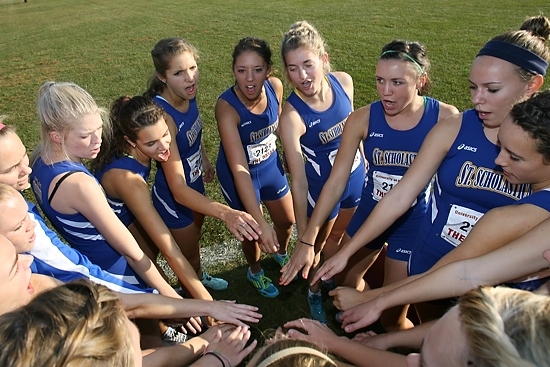 The women’s team be­fore the race. 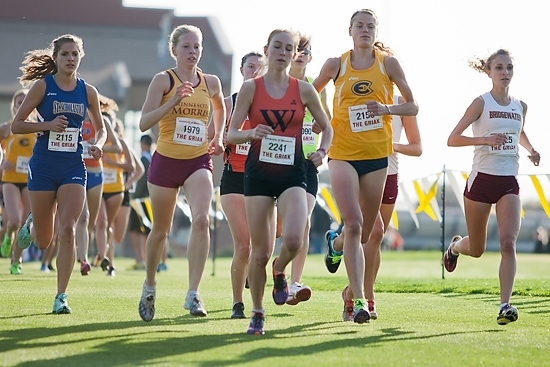 Chelsea John­son (left) keeps pace the lead pack in­clud­ing even­tu­al race win­ner Lin­da Keller (1979), third-place fin­ish­er Alana En­ab­nit (2241), and run­ner-up Ash­lyn Mauer (2153). 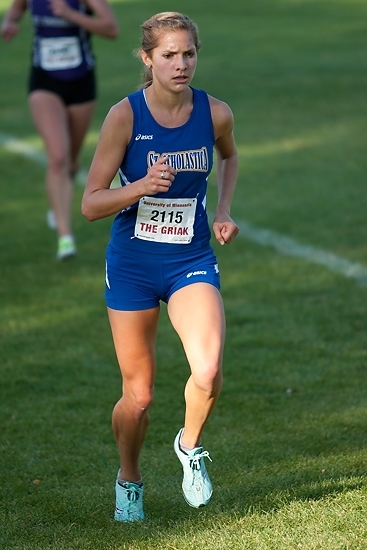 Chelsea John­son dur­ing the sec­ond half of the race. 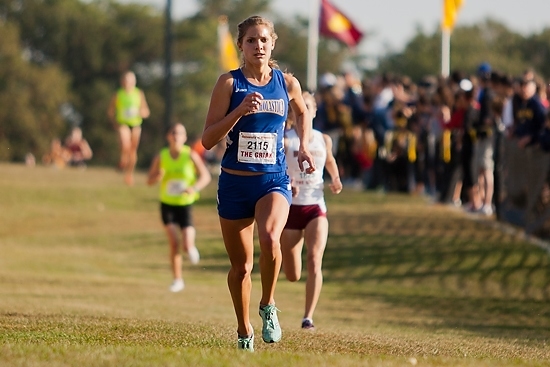 Izzy Planten­berg (2126) and Hal­lie Miller (2122) dur­ing the sec­ond half of the race. Chelsea John­son ap­proach­es the fin­ish line for a sixth-place fin­ish.